The School will be held between January 5-6 and 9-11, 2017, and the Workshop between January 12-13, 2017. 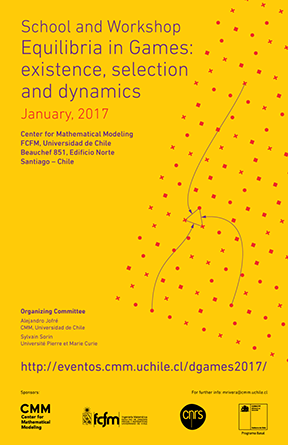 The venue for both activities will be the Center for Mathematical Modeling (CMM), Universidad de Chile, in the city of Santiago. We are planning to do an excursion to the colorful city of Valparaiso and a winery during the weekend for those interested.